You always knew when Gavin Smith was playing in a poker tournament. As soon as you were within earshot of the tournament floor, one voice was preeminent, piercing through the constant rattle of chips, machine–gun fast in cadence and unmistakeable in tone. Gavin was in the house. 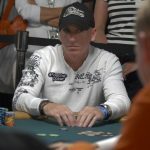 When news tore through the poker world yesterday that Gavin had passed away at age 50, the thought that that voice, so full of life, had fallen silent was absolutely heartbreaking. 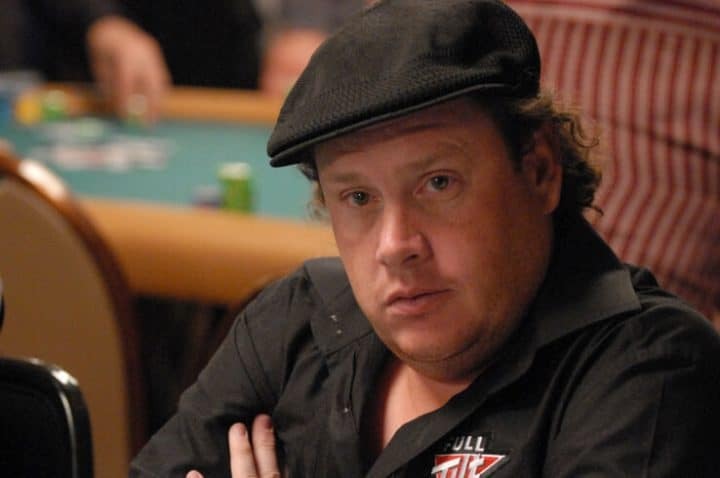 Gavin Smith came onto the poker scene in the late ’90s, moving from being an underground dealer in his hometown of Guelph in Canada to a player at Foxwoods in Connecticut. Some moderate success led him to the World Series of Poker and a 52nd-place Main Event cash in 2004. But 2005 was the year that Gavin broke out, with back-to-back wins in both a prelim and the main event of the Mirage Poker Showdown, leading to a WPT Player of the Year title. Mr. Smith had arrived. And what an arrival it was: Gavin was a throwback, larger than life, the very embodiment of a Runyonesque character, packed into 5’9″ of gregarious Canadian. Gavin ruled every table at which he sat, not just with his skill but with his personality. There was no escaping the often acidic, always funny tongue of Ole G Smith. He joked, he chatted, he made prop bets — he did anything that might help pass the time and ramp up the fun quotient. I first made the acquaintance of Gavin around this time. We figured out in later years that we may have played together in some underground games in the ’90s, but it was in the stretch after he won the WPT Player of the Year that we became friends. I was at his side when he came second in the 2008 North American Poker Championship. He lost to an amateur named Glen Witmer whom he was absolutely dominating, smiled for the pictures, and then we went straight to the bar (a common theme if you rolled with Gav) where he beat himself up for playing a coin-flip hand with a guy that couldn’t touch Gavin in the skill department. It wasn’t the money. He really didn’t care about the money. He just wanted to win on Canadian soil in front of his family. That was important to him. Over time, Gavin built his brand better than almost anybody in the poker world not named Negreanu or Hellmuth. He was outgoing and personable in a world that was gravitating toward sunglasses, hoodies, and silence. He became a regular on poker television because he made good television. No poker fan could forget the episode of Poker After Dark where a very intoxicated Gavin Smith got the better of Phil Ivey heads-up. You want to see classic Gavin? Watch the normally implacable Ivey laughing along with the rest of us at his opponent’s incessant and often hilarious table banter. With Gavin, you knew that the razor-sharp wit hid a heart of gold. He could needle you to death and you wouldn’t love him any less. I know that from experience. One year, poker pro Phil Gordon was hosting his annual Fourth of July party during the WSOP in Vegas. When I arrived, Gavin was playing Nine Ball with Gordon for a substantial amount of money. And losing. His strategy? “I’m gonna hit ’em as hard as I f—in’ can, and something will go in.” It wasn’t working, but Gavin, with his ever-present Greyhound (his drink of choice) in hand, was having a blast smashing it. Gavin was the life of the party, and he wanted you to have as much fun as he did. And if the fun wasn’t happening, he took it upon himself to make it happen. The man was one of the most prolific and entertaining prop bettors of all-time. For proof, all you had to do was check his shoulder, where he had the initials “JS” tattooed. Years before embarrassing-tattoo prop bets became trendy, Gavin lost one to Joe Sebok and went through with his punishment. It was charity without looking like it. There was a giant heart in that little pear-shaped body. The hard-living, party-all-the-time Gavin found a reason to live a little differently when his first son, Kingston, was born. Shortly after, I got a call from Gavin asking if I could get him a room for the 2010 Fallsview Poker Classic. He was bringing Kingston along and wanted to make sure he had a big room. That week, Gavin and I spent a lot of time talking about fatherhood. He wanted to be a good dad, and the normally opinionated Smith was open to any and all advice. That giant heart of his was now working overtime. Gavin won one of the tournaments that week. And that summer, with a giant rail of friends cheering him on, he also won his first WSOP bracelet. We talked after he won. He told me, in tears, that he thought about his dad as he was playing down the stretch. Fatherhood in all forms was important to him. Gavin bounced around in the last few years, going from Vegas to Alaska and finally to Houston, where he threw the brakes on poker in order to be a good parent to his two boys, Kingston and Keegan. He became Gavin Smith, poker champion and single dad. There are people in life with whom even chance encounters leave indelible impressions. Gavin was one of those people. Most loved him, a few didn’t, but nobody — nobody — could forget him. A Go Fund Me campaign has been set up to help Gavin’s family. You can donate here.